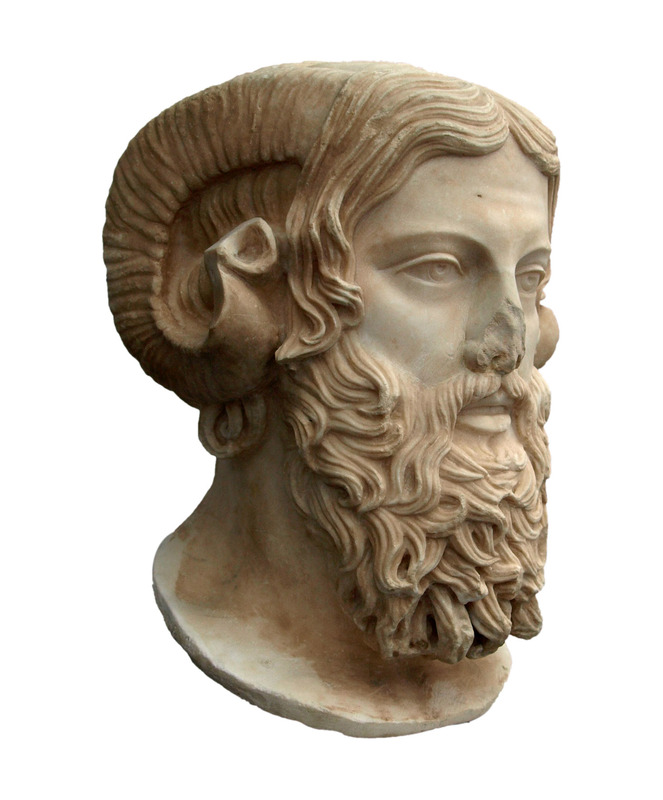 After the Greeks colonized Cyrenaica—now part of Lybia—and established settlements in the lower Nile Delta, they came to associate Zeus with the Egyptian supreme god Amun-Ra, who was often depicted with the head of a ram. The features of both deities are combined in this sculpture. Worship of Amun, called Ammon by the Greeks, also spread north to the Greek peninsula, with statues and temples erected at Delphi, Sparta, Thebes, Aphytis, and Megalopoli. The poet Pindar wrote a hymn to Ammon, which was inscribed on a triangular pillar at Thebes, where Ammon came to become the principal local deity. The word “ammonia” is derived from Ammon; when the Roman empire spread to North Africa, they discovered mineral deposits near a temple of Ammon and thus named it sal ammoniacus (“salt of Ammon”); we now call it ammonium chloride. 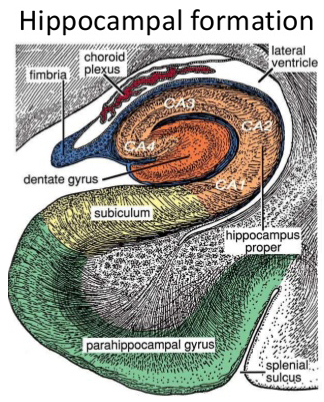 We all have our own ram’s horns—the curled region of the hippocampus in the brain is called cornu ammonis, “Ammon’s horn,” with areas abbreviated as CA1, 2, 3, and 4. This entry was posted in Uncategorized and tagged 5th Century BC, Africa, Animals, Art, Chemistry, Egypt, Greece, Lybia, Mythology, Neuroscience, Pindar, Rams, Religion, Sculpture. Bookmark the permalink.